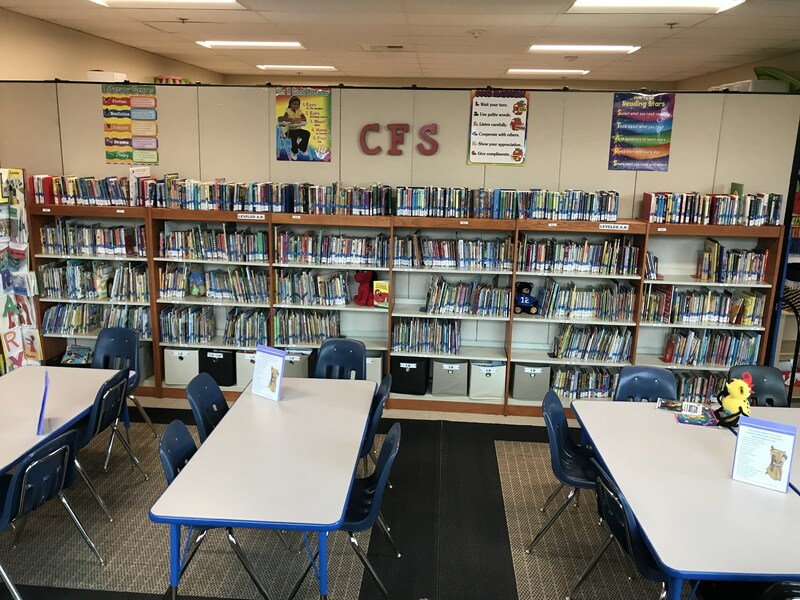 WELCOME TO THE CFS ELEMENTARY LIBRARY PAGE! 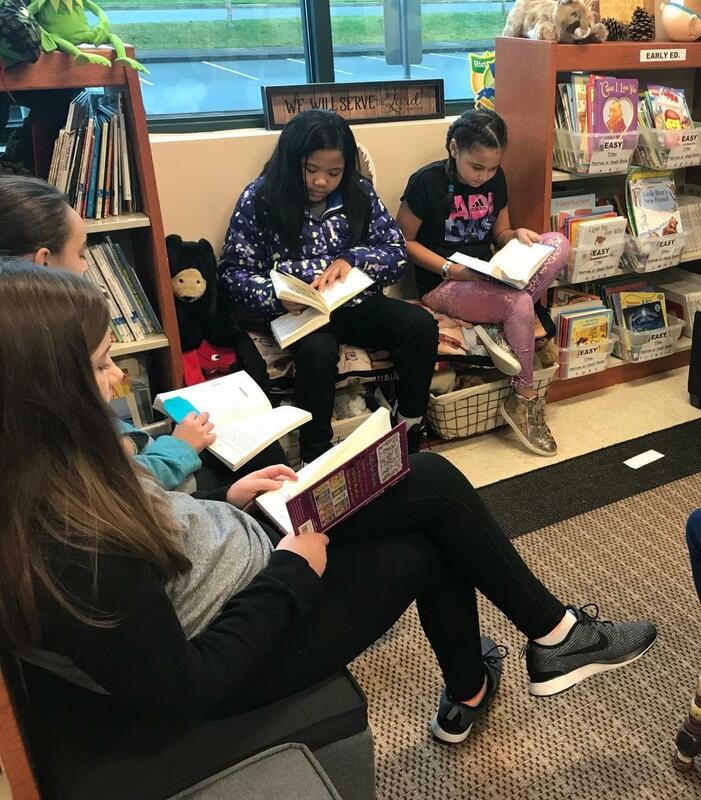 fostering our students' appreciation for reading. 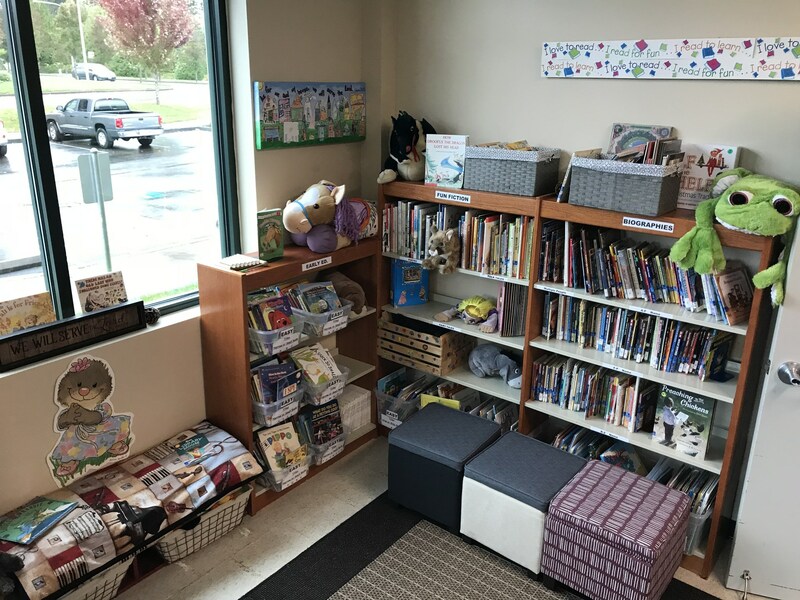 Our elementary library houses age-appropriate fiction covering classic, popular, and Christian literature. We have numerous non-fiction works in biography, history, world culture, and the sciences. 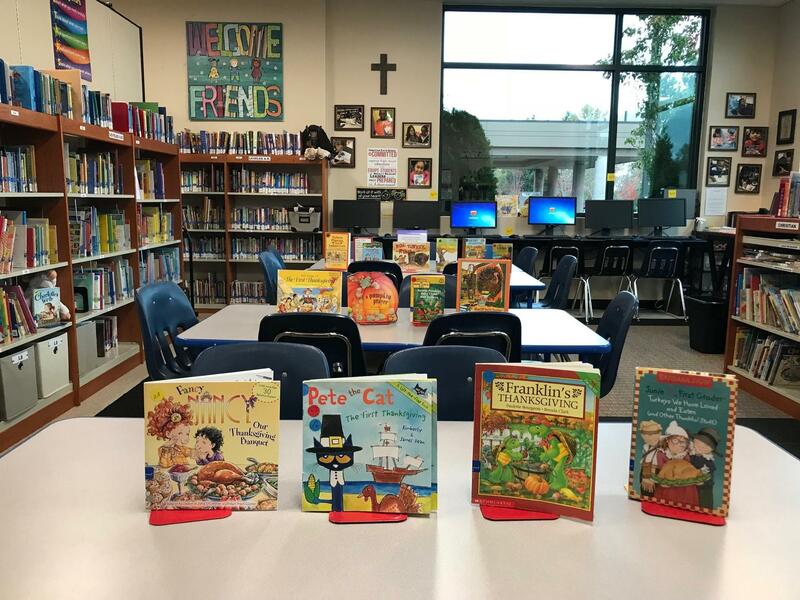 We have recently added over 80 new books to our elementary library representing the diversity of our students as one family of God. 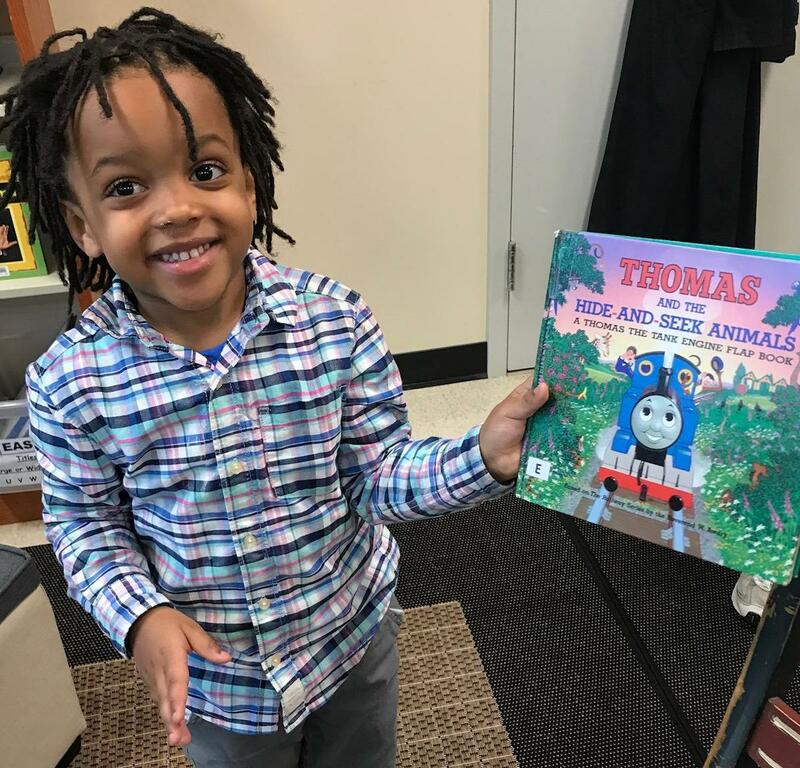 The books enable our students to understand and appreciate the many cultures represented at CFS. We have also added more books on science and technology. Biblical World View is a primary emphasis to instill Christian thinking and Christ's teaching about what we read. We notice characters, behavior, content or illustrations. Does the text improve our godly reasoning in some way or provide ways to apply the Bible to whatever we read or learn about? Our school is licensed for Accelerated Reader! 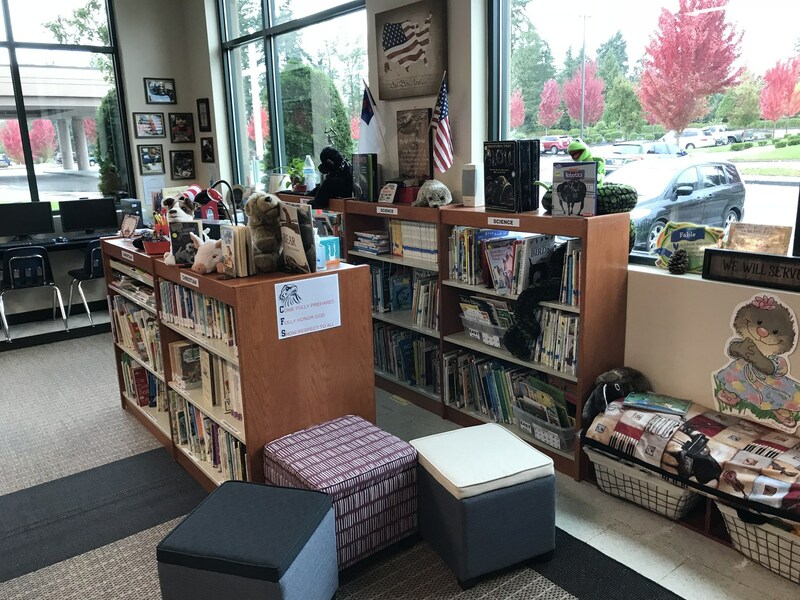 Our library serves as the hub for A.R. Our Librarian, Mrs. Nelson, coordinates the fun based on use of this technology. 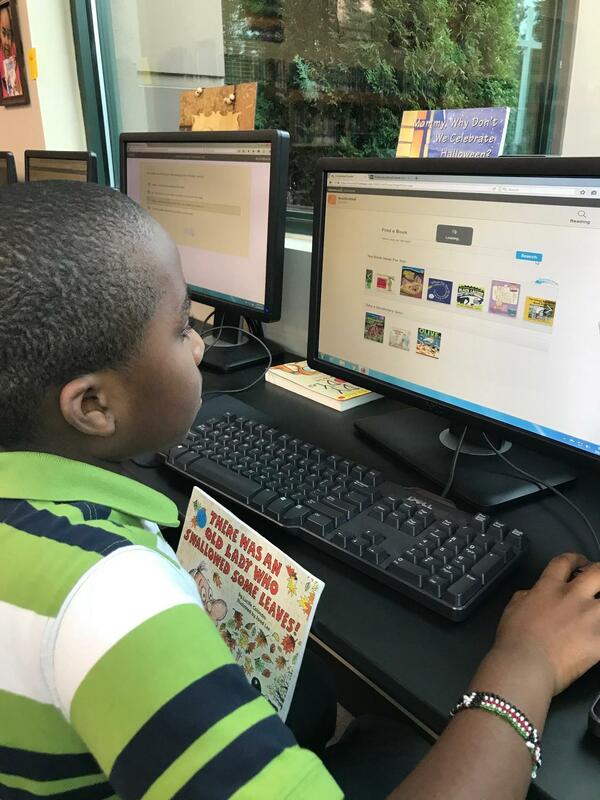 What is Accelerated Reader (A.R.)? 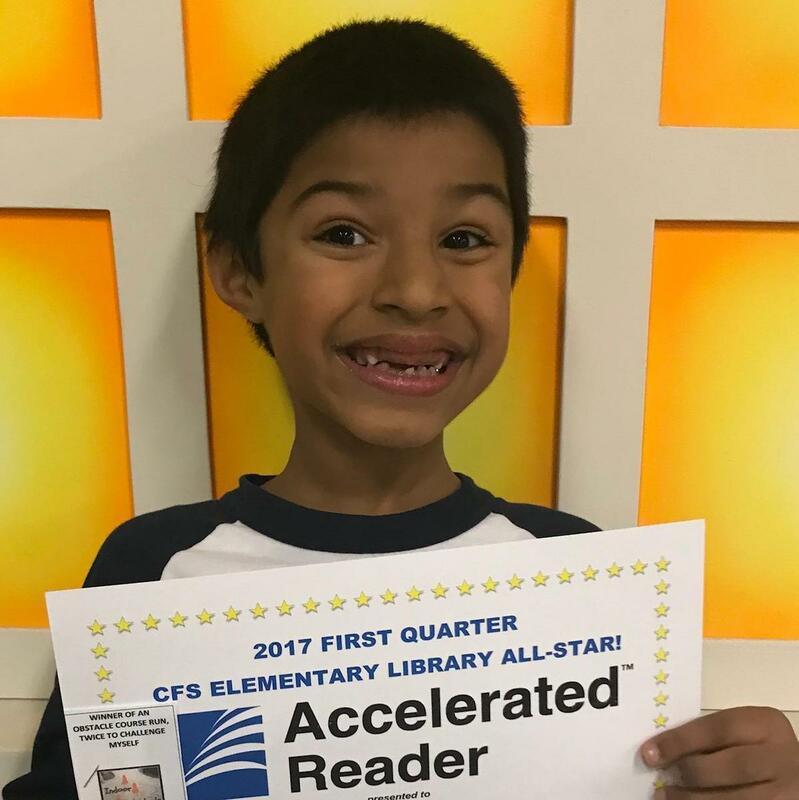 Accelerated Reader is a WORLD-WIDE computer-based program that CFS uses to monitor reading practice and progress. It helps teachers guide students to books that are on kids' individual reading levels. Students take short quizzes after reading books to check if they've understood and can recall detail. 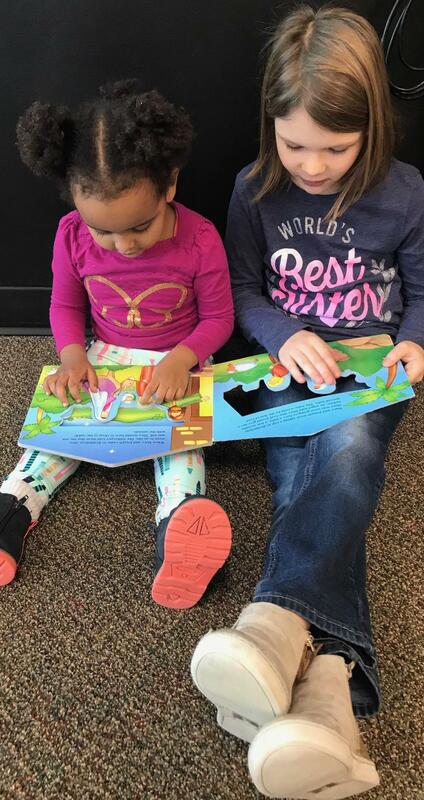 Each student, starting mid-year in kindergarten on up to 5th grade levels as high as grade 8, will have an individualized yearly reading goal set with guidance from Mrs. Nelson. 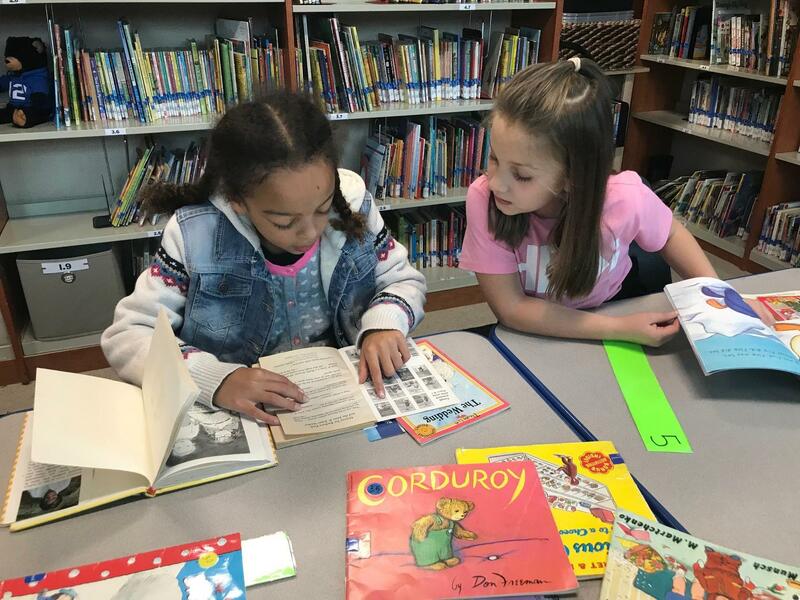 As students read books and take quizzes, they are able to earn points for each one. When they meet their goals, they will get to have various experiential rewards throughout the year. 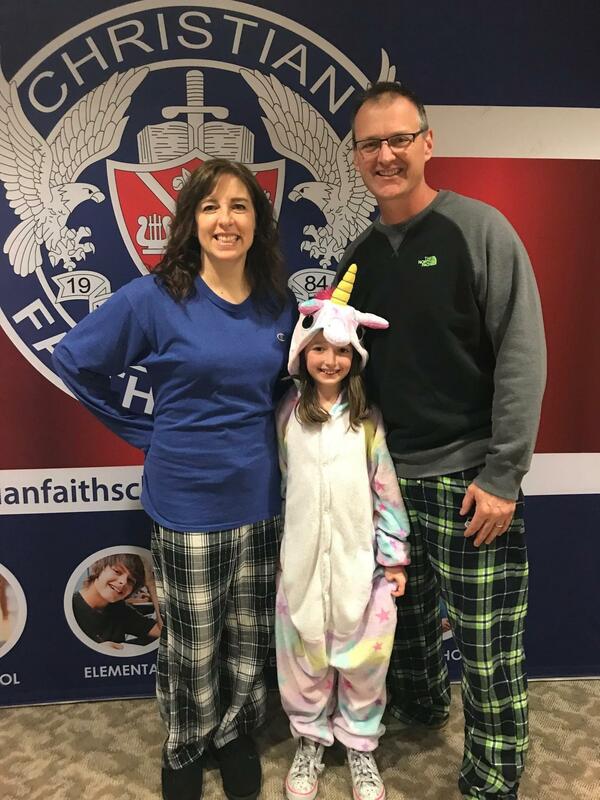 These experiences might include running an obstacle course, being an assistant to the librarian, receiving a standing ovation in the lunchroom, or a special evening event like coming in jammies to hear stories and eat popcorn with mom and dad in jammies too. 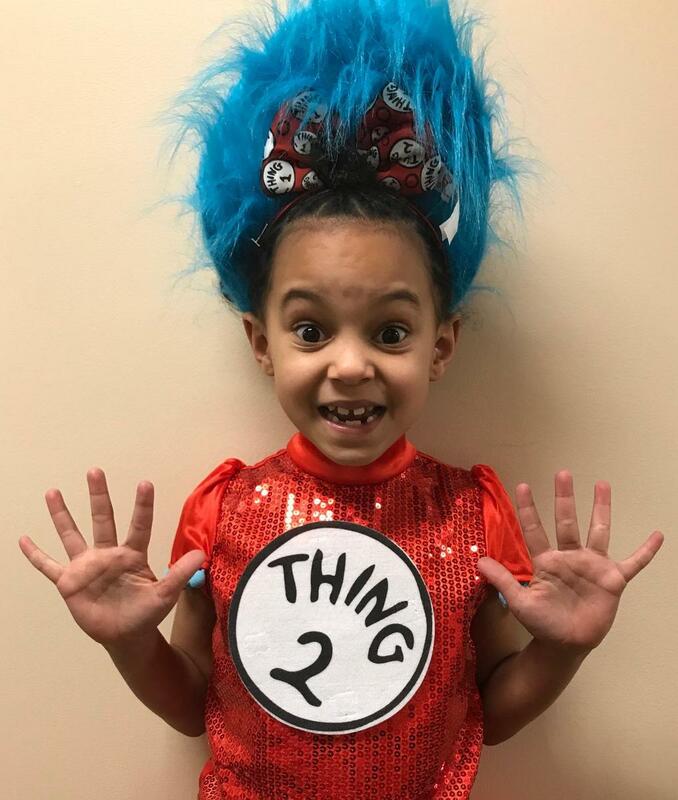 Last year, our elementary school kids read a collective 5683 books and over 20,000,000 words on AR! We had a schoolwide field trip in June because of our team and individual efforts. We had celebratory play at Steel Lake Park and ate ice cream sundaes. We had medals awarded for each class while at the park. All-around medals were awarded at our final day assembly in June. 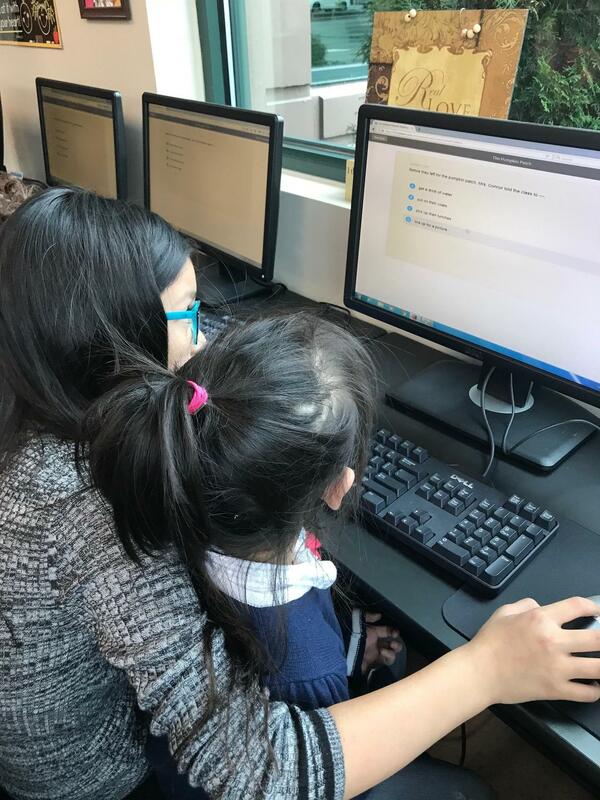 An Accelerated Reader link to Renaissance Home Connect is where parents can sign in to see their student’s progress on a dashboard. Parents have all received their child's log-in information. 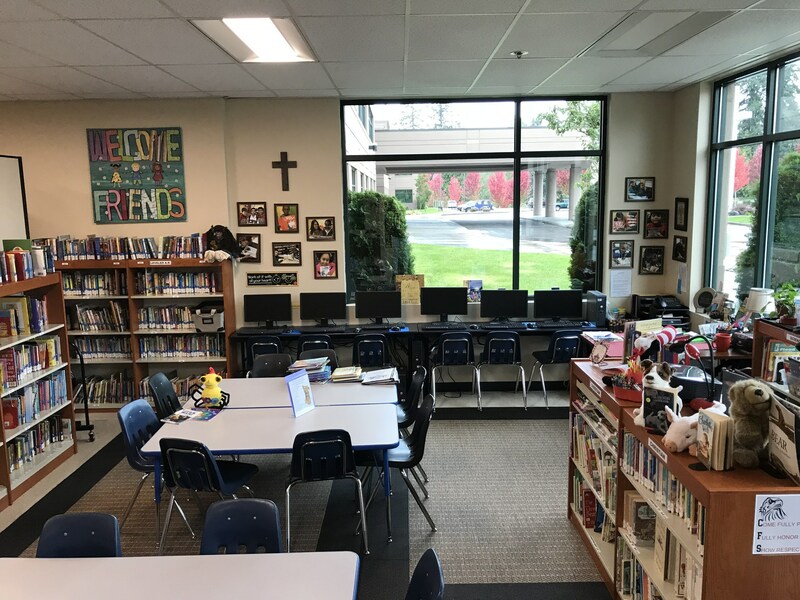 If you are a parent and have misplaced the user name and password, link to the email of our Librarian, Pam Nelson, pamn@christianfaithschool.com and request the access information. 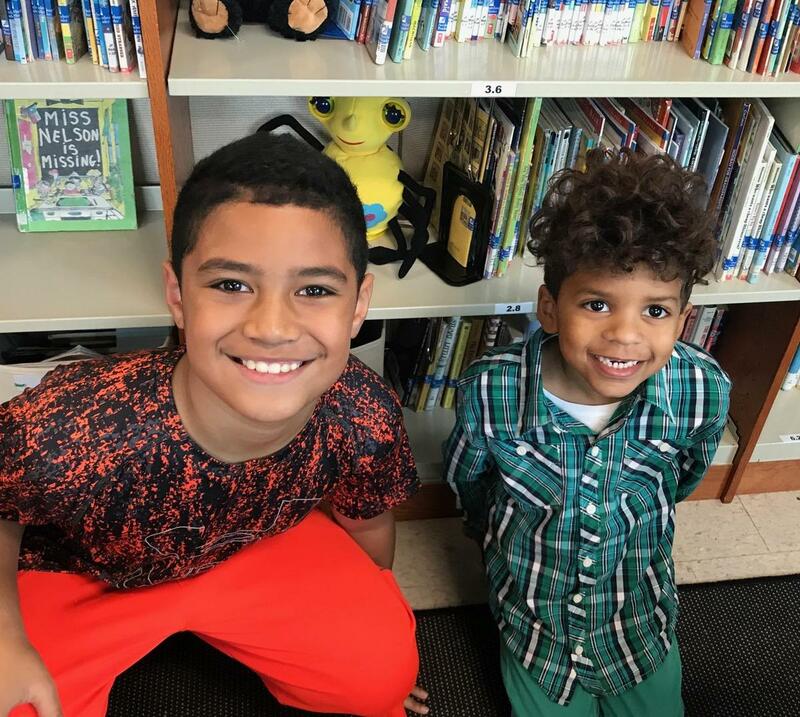 CFS LIBRARY ALSO WELCOMES PARENT AND COMMUNITY VOLUNTEERS! 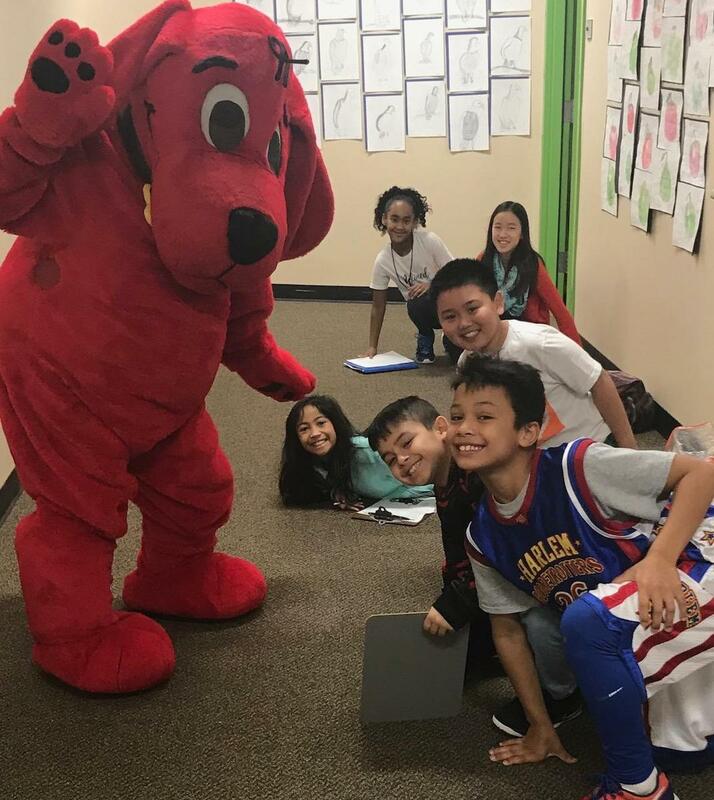 With an application and background check, you might be a mascot, a mentor, a library clerical assistant, a book shelf elf, and more. 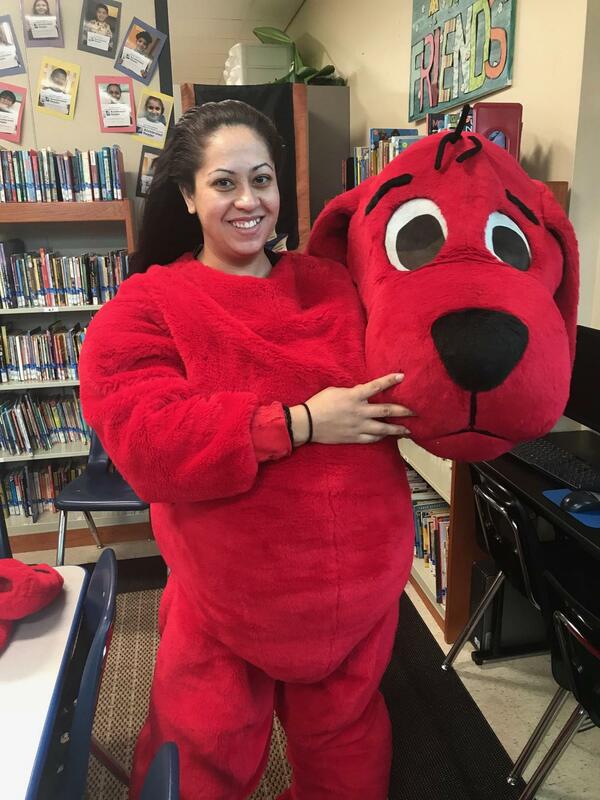 Meet Mrs. San, a parent earning volunteer hours as a Clifford Day Dog! 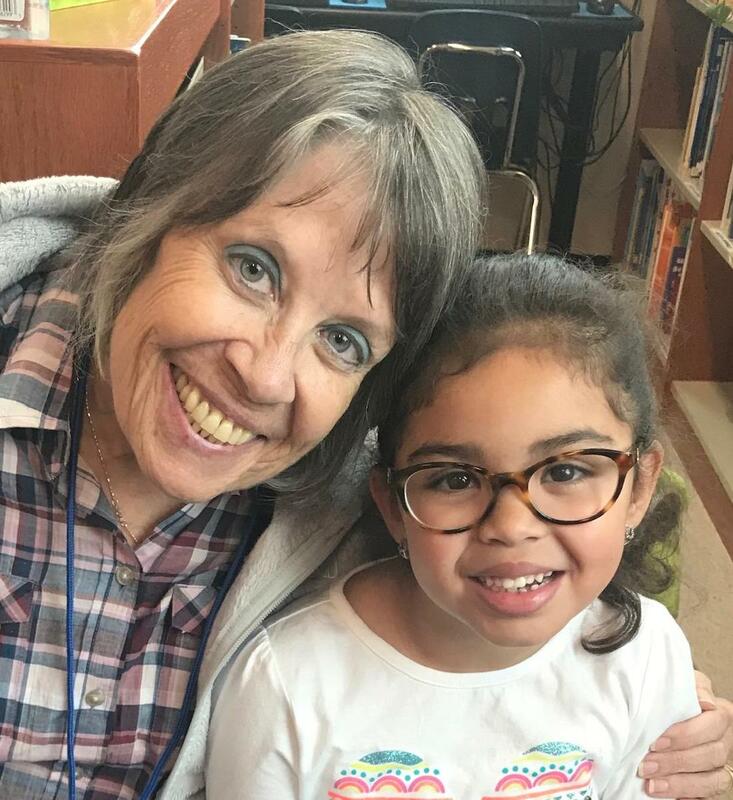 Meet Mrs. Norwood, a grandparent volunteer two afternoons per week who helps our students directly. 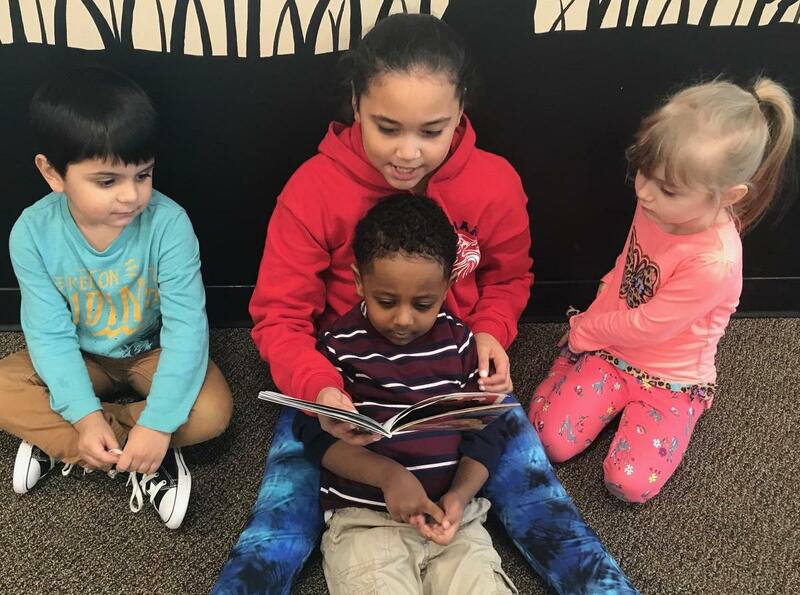 You can read to a little child, coach a child who needs to learn the English language, or support children in finding good books! Just contact Mrs. Nelson and apply today. It's a great place to earn your volunteer requirements if you have some to earn. 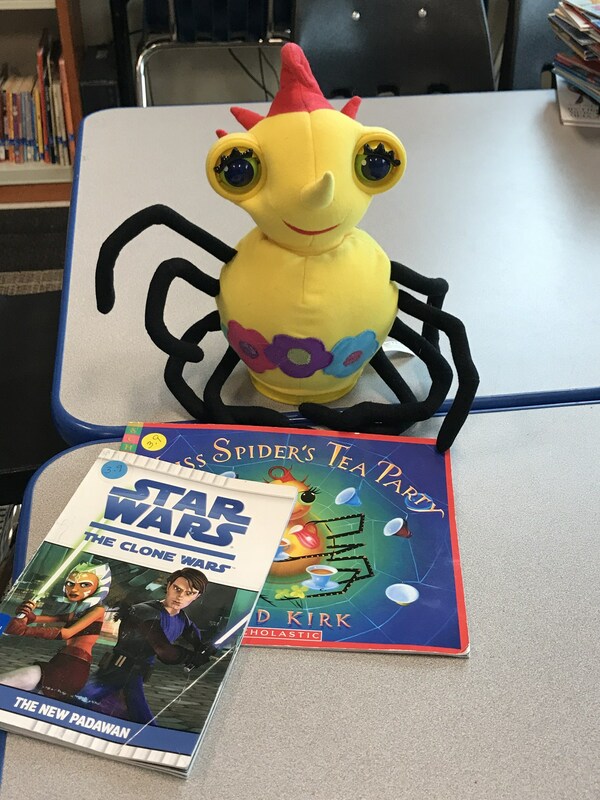 LIBRARY CONTESTS AND STORY NIGHTS? ARE YOU KIDDING? 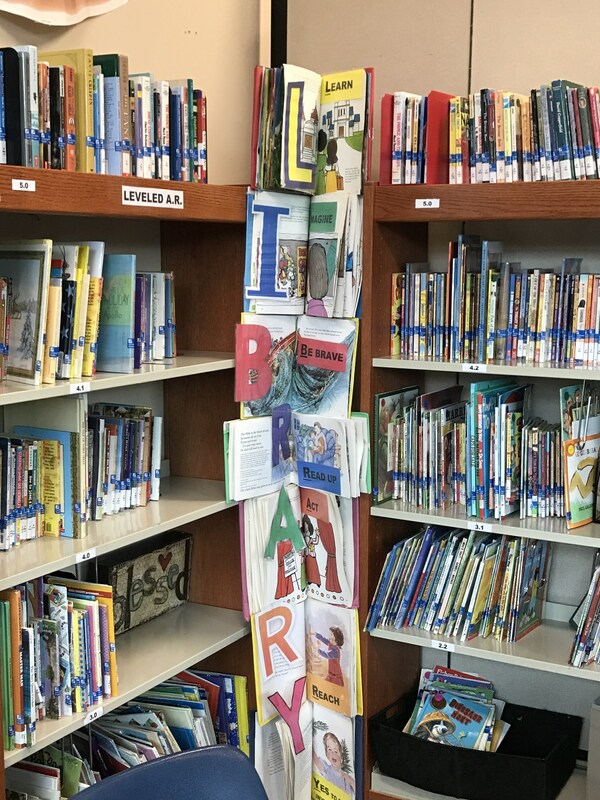 We have research contests, authors' birthday contests, dress-up contests, tricky question contests, vocabulary contests and more! Library is THRILLING! 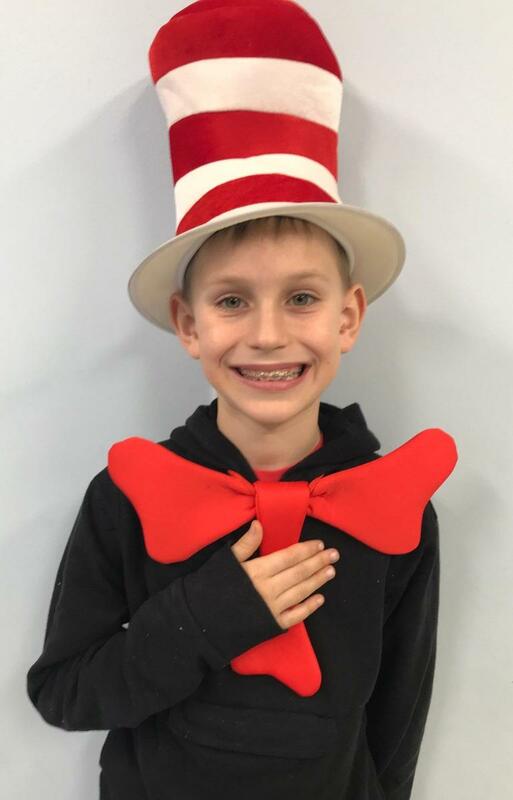 WE HAVE A STUDENT MENTOR MODEL! PERSONAL BEST FOR JESUS IN CFS LIBRARY! Mrs. Nelson's Personal Edlio Page.